It’s Sunday again and I have been sitting here wondering what to post about. Should I take inspiration from this week’s train reading and have a little muse about the lack of female role models? Should I have a little rant about table manners and that the situation has become so grim that London’s Kensington Hotel has taken it upon themselves to educate the nation’s little savages with Petite Etiquette? All riveting stuff I can assure you…or it would become so under my fleet-fingered tap-tap-tapping. …because I have a bright shiny new laptop! I can’t decide what I am more excited about. That I don’t have to pedal hard to coax the old desktop into doing what I want – quite frankly, the number of times it has given up the ghost three quarters of the way through a post and made such a mess of what was saved that I’ve had to type it again. You guys should think yourselves lucky I’m addicted to sharing this blogging caper. Or that it goes fast. Really fast. Like 6GB fast. With lots of tabs open and stuff. And for all of you doubting Thomases (is that the correct pluralisation for more than one doubting Thomas? 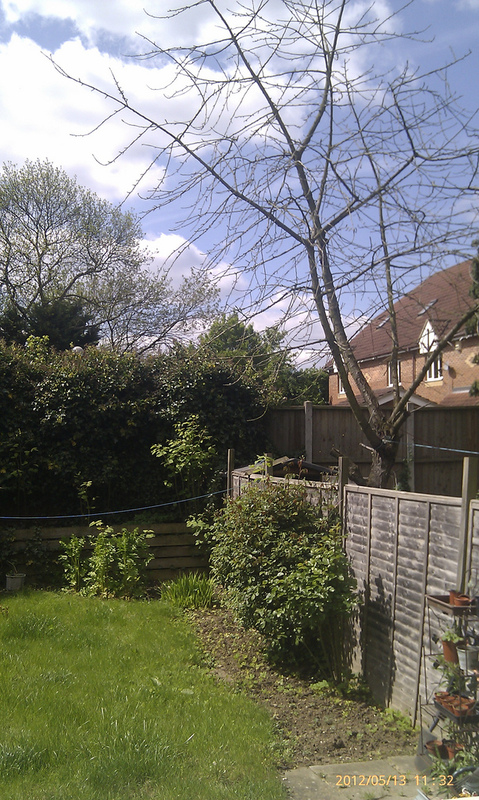 ), I would like to draw your attention to the date/time stamp on the photos to prove that it is really sunny today. 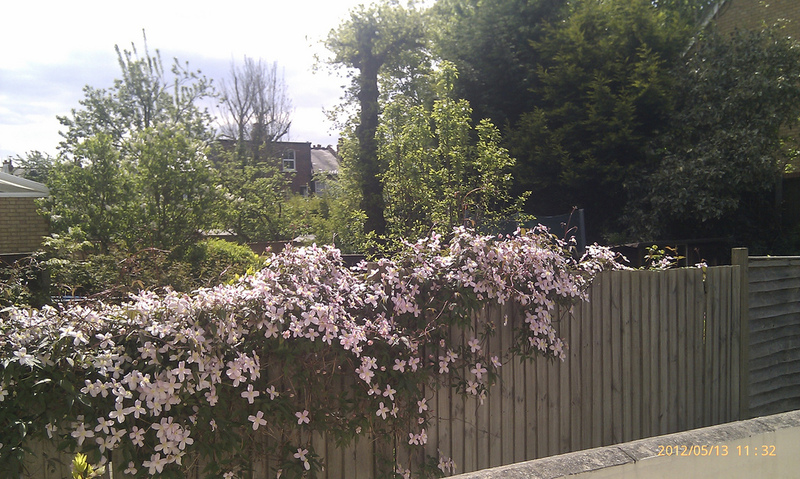 Gloriously so…with a forecast top temperature of 19C. This entry was posted in Expat moments, Fabulous Finchley, Life in the UK and tagged Gidday HQ, Life in the UK, Metro, Petite Etiquette, teabags, techno babble by Kym Hamer. Bookmark the permalink. Oooh manuscript…now that's exciting. Any spoilers you'd care to share? I'm always up for a Gidday scoop! Ooh a new laptop, yay! Mine is barely hanging on, just hoping I can get through my manuscript before…well, let's not type anything negative. I'm holding on until a visit back to US in late June, and then I might even make the big switch to a…MAC! Thanks for the photos of Gidday from the UK Back Yard, enjoy the sun and warm weather. We have the former, not the latter. 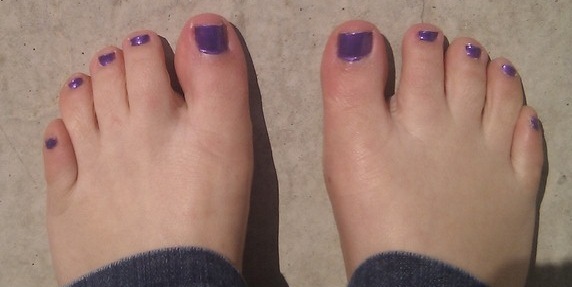 BTW, love the purple polish, too.